Alastair Benton formed Bentons in the 1970s after acquiring East Midlands Farmers Land Agency where he previously worked. Initially Alastair focused on Agriculture with a strong client database, buying and selling farms in the Vale of Belvoir as well as auctioning at Melton Mowbray Cattle Market. It became clear to Alastair that this sector could be significantly enhanced through developing a Regional marketing capability and the Residential Sales operation. As the business expanded, it weathered the storm of the 1990s recession and with the advent of the internet provided a platform on which to employ an expert to grasp new technological opportunities and develop the current strategy of one prominent cutting edge office becoming a force in agency across the Midlands coupled with a National marketing capability through 1,200 networked offices. James Warne joined the Company in 1996 from the corporate sector to develop this initiative. James’s background prior to joining was pure Residential Estate Agency. James was able to develop the Residential Sales side of the business bringing us up to date with a well-balanced and structured business, sourcing the best team members to provide unrivalled property service both with Residential Sales, Residential Lettings and Management and Commercial. He has overseen huge expansion and development of the Bentons brand, which has resulted in Bentons receiving multiple Industry Awards. Alastair continues to work within the business, focusing on development sites and Project Management. One of his largest ongoing developments to date is the Clifton Gateway development site which will provide 3,000 homes and 80 acres of employment land. Alastair and James has been joined on the board by very capable professional members of staff including Company secretary, Elizabeth Bateman. Elizabeth Bateman joined the Company in 2001, initially starting as an office junior. Elizabeth has progressed her way through the business as well as providing Alastair and James support in running the Company and now acts as Company Secretary alongside her role as Senior Sales Negotiator. Melissa Hopson, a Chartered Valuation Surveyor joined the Company in 2015 to provide professional Sales and Valuation expertise as well as developing the Commercial and Valuation department. Melissa joined us from another established independent agency where she had worked for over 11 years. Richard Harrison joined the company in 2016 as a Senior Valuer and has a wealth of property valuation experience. 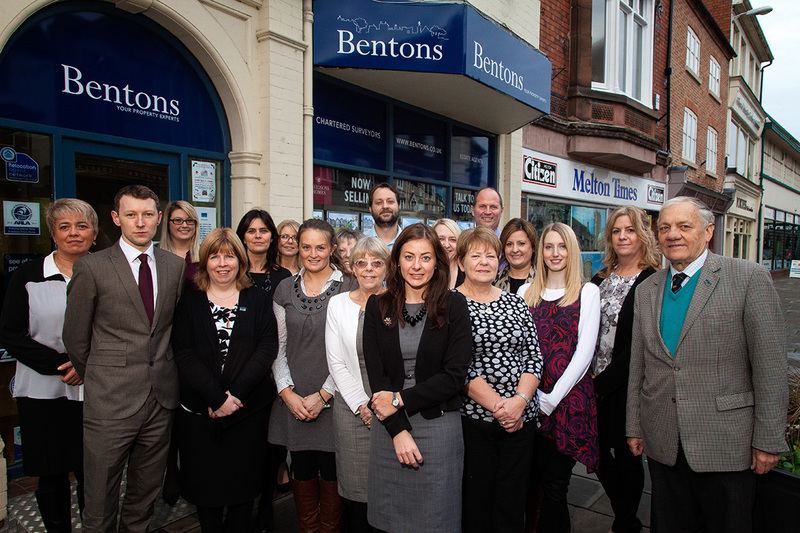 Prior to joining Bentons, Richard was a Director of a successful estate agency in Loughborough and is an expert in valuations across the Charnwood area. Mandy DiGioia joined the Company in 2013 as our Residential Sales Manager and oversees sales of over £100 million. Mandy has worked in Melton Mowbray for other independent agents for over 10 years providing unrivalled knowledge and Customer service. Darren Moore is the Residential Lettings Manager and joined the company in 2016 after working as a General Manager for another independent company for over 10 years. Darren has a great passion for all aspects of lettings and property management. The business is structured to take Bentons into the next 25 years plus with confidence as Alastair eventually hands over the reins.